TNG, part of Avanta Enterprise Ltd, has over 25 years experience and is one of the UK’s largest training providers. TNG delivers, through its large number of Government contracts, a tailored training and mentoring service linked to local labour market needs to support people from welfare into work. TNG also delivers training to employed individuals who wish to gain vocational qualifications, and works with businesses to meet the needs of both individuals and their organisations. TNG specialises in assisting hard-to-reach groups such as the long term unemployed, lone parents, people with disabilities and ethnic minorities. Like all progressive companies, our business culture is customer-focused, professional, ethical, growth-oriented and competitive. As part of that, we welcome and value change, innovation, improvement, initiative and entrepreneurship. Above all, central to everything else, is our core value - people. Our focus as an employer is on flexible rewards and benefits and personal development. Staff are involved in decision-making and they also share in our successes. Staff are competent, motivated and feel fulfilled as they are both encouraged and empowered to achieve their full potential. We support diversity through an open, respectful, inclusive working environment. Opportunities are open to all, and honest, two-way communication is welcomed and encouraged. Our focus is on identifying, meeting and exceeding the needs and aspirations of our customers, clients and communities. We aim to deliver high quality, high value, cost effective services. We are committed to serving local communities and maintain our presence through employment opportunities, business start-ups and support for community growth. Respect for the environment in which we all live is of importance, and the company strives to use sustainable, environmentally friendly resources in its activities. Avanta, comprising the two companies TNG and InBiz, is one of the UK’s leading private sector employment-focused training and enterprise companies. Operating from over 80 locations across the UK, Avanta offers a complete training, recruitment, mentoring and business support service to develop employment and skills in the UK. Avanta works with both the private and public sectors, including government agencies and departments such as The Department for Work and Pensions, Jobcentre Plus, Regional Development Agencies and the Learning and Skills Councils. 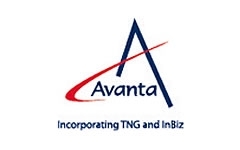 Together under the Avanta banner, TNG and InBiz are able to deliver the total solution that takes people and organisations from welfare through to workforce development and from exclusion to entrepreneurship. InBiz, part of Avanta, is dedicated to the promotion and development of self employment as a way into economic activity. InBiz supports enterprise creation and neighbourhood regeneration mainly with start-ups, micro-businesses and small and medium sized enterprises (SMEs). Through the development of specific projects, InBiz aids individuals and groups to develop their enterprise skills and set up a business, help develop business plans, enable start up and facilitate growth through business mentoring. InBiz is expert in promoting entrepreneurship to people who do not associate themselves with enterprise, engaging with them and supporting them to develop a business idea, then helping the business to be successfully launched, survive and grow.